Linda Ejiofor, Tope Tedela and Demola Adedoyin, will be starring in Dare Olaitan‘s new movie project, ‘Knock Out Blessing’. ‘Knock Out Blessing’ is coming following the success of ‘Ojukokoro’, which had several award nominations and screened in some film festivals. 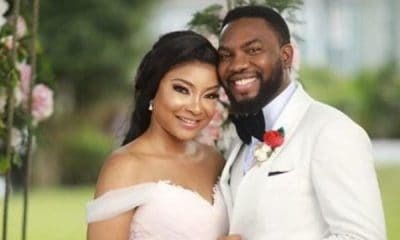 In the new movie, Olaitan engaged the services of a star-studded cast to interpret the characters in the comedy crime-thriller. Other movie acts featured in the movie are Ade Laoye, Meg Otanwa, Udoka Oyeka, Gbenga Titiloye, Tony Akposheri, Bucci Franklin, KC Ejelonu, Abayomi Alvin, Sandra Eze and Odenike. ‘Knock Out Blessing’ is an intriguing tale about three girls on an adventure to survive. The zeal to survive takes the trio down a path that leads into the criminal sector of our political underworld. Produced by Olufemi Ogunsanwo, ‘Knock Out Blessing’ is the second feature film from Singularity Media. An official release date for the movie is yet to be announced soon.